Shot of a businesspeople shaking hands in office with cityscape in background. 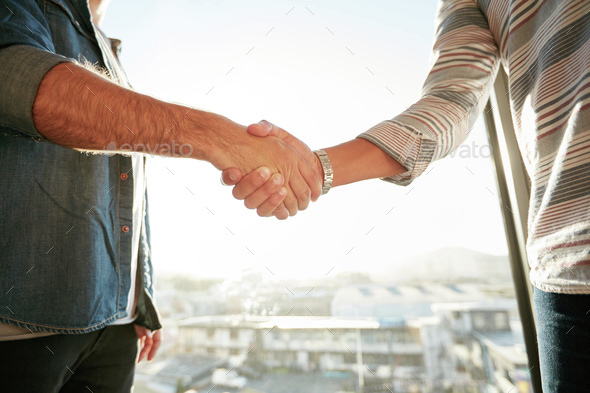 Cropped image of two young male professionals hand shake after a deal. Focus on hands.